A direct descendant of the older S programming language, R was released by the R Foundation for Statistical Computing in 1995. Written in C, Fortran, and the R language itself, R can be compiled and run on a wide variety of Windows, MacOS, and UNIX platforms. Its widespread usage by data scientists and analysts alike is because it has a package for almost every imaginable quantitative and statistical application. These include phylogenetics, neural networks, non-linear regression, advanced plotting, etc. Since it is an open source language, it allows for an extremely active community of contributors. R’s recent growth and popularity is a testament to its effectiveness in the field of data science for years to come. Introduced by Guido van Rossum in 1991, Python is an immensely popular general purpose language that is widely used within the data science and analytics community. It has an extensive range of purpose-built modules and boasts a global community support with numerous online services that provide Python API (Application Programming Interface). It is easy to learn, and the low entry barrier also makes it an ideal first language for those who are new to the field of data science and analytics. Python is also an excellent prospect for those who are looking for an application-based career in data science. Majority of the data science process revolves around the ETL (extraction-transformation-loading) process, which is supported by the generality that Python offers. Python also provides packages like Tensorflow, pandas, and scikit-learn that make it a fantastic option for advanced machine learning applications. Since its introduction in 1974 by IBM, SQL (Structured Query Language) has undergone several implementations; however, the core principles remain the same. It defines, manages, and queries relational databases, a process crucial in any data science or analytics role. SQL is a favorite of developers working with data because of its declarative syntax, which makes it an easily readable and understandable language. SQL is used across a range of applications, from reading large datasets to querying them to derive meaningful results. SQL can also be directly integrated into other languages by modules like SQLAlchemy. A useful data processing language, many applications associated with data science are dependent upon ETL, which is one of SQL’s top proficiencies. Its longevity and efficiency make it an imperative language for data scientists to know and master. Currently supported by the Oracle Corporation, Java is a standard, general purpose language which runs on the Java Virtual Machine (JVM). It has a powerful ability to integrate data science and analytics methods into an existing codebase. As a result, many modern systems are built on a Java back-end. It is an invaluable language for mission-critical essential data applications since it ensures a no-nonsense type safety. Java is an ideal computing system that enables effortless portability between various platforms. These factors make it suitable for writing specific ETL production codes and computationally intensive machine learning algorithms. Java’s verbosity makes it an obvious first choice for ad-hoc analyses and dedicated statistical applications. Many companies demand data scientists to be able to seamlessly integrate data science production code into their existing codebase, which is made possible by the advantages offered by Java’s performance and type-safety. Scala was developed by Martin Odersky in 2004 and is a multi-paradigm language that enables both object-oriented and functional approaches. It runs on JVM and is an ideal choice for the data scientists and analysts working with high-volume data sets. The cluster computing framework, Apache Spark was written in Scala, which promises its high performance in complex scenarios involving massive collections of data. Since it is compiled on a Java bytecode that allows Scala interoperability with Java itself, this makes Scala a well-suited programming language for data scientists and analysts. Released around 2012 by NumFocus, Julia has made a defined impression in the world of numerical computing and data analytics. A JIT (just-in-time) programming language, Julia offers its developers with simplicity, dynamic typing, and scripting capabilities. Due to its early adoption by several organisations in the finance industry, Julia is already a favourite in the data analytics community. Although initially focused and designed for numerical analysis, Julia is capable of being used for general purpose programming as well. Matrix Laboratory (MATLAB) is a numerical computing language used throughout the academia and data science industry. Developed and licensed by MathWorks in 1984, MATLAB is designed for use in quantitative applications that have sophisticated mathematical requirements. These include, but are not limited to image processing, Fourier transforms, digital signal processing, and matrix algebra. Its inbuilt plotting capabilities also make it a perfect tool for data visualisation. Often taught as part of the curriculum in many undergraduate courses in disciplines of Physics, Applied Sciences, Mathematics, and Engineering, MATLAB has extensive use in data analytics as well. In addition to this, its widespread use in quantitative and numerical fields make it a must-know language in the field of data science. While this was an overview of the programming languages that are crucial for data scientists and analysts to master, it is also important to understand that each individual language’s usage is very application-specific. 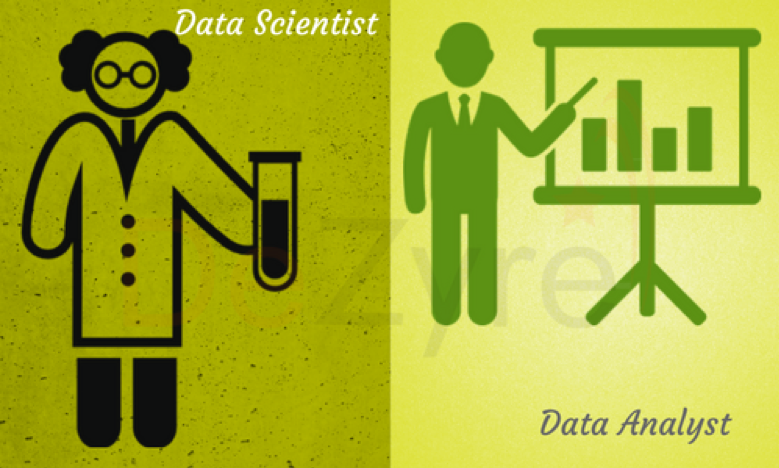 However, a thorough knowledge of these languages provides data scientists and data analysts with the perfect balance of productivity and generality, a combination that is much required for the role.